The story of New York's great cathedral mirrors the story of the city itself. 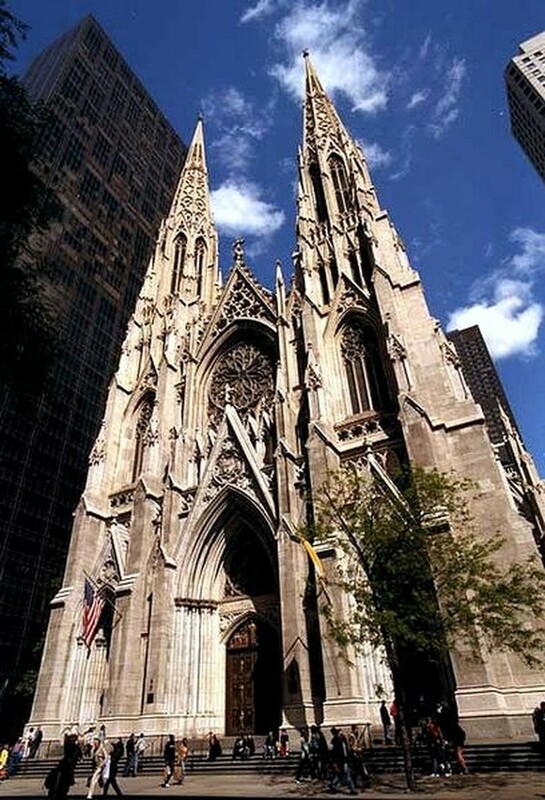 Created to affirm the ascendance of religious freedom and tolerance, St. Patrick's Cathedral was built in the democratic spirit, paid for not only by the contributions of thousands of poor immigrants but also by the largesse of 103 prominent citizens who pledged $1,000 each. St. Patrick's Cathedral proves the maxim that no generation builds a cathedral. It is rather, a kind of ongoing conversation linking generations past, present and future. The cornerstone of St. Patrick’s Cathedral was laid in 1858 and her doors swept open in 1879. It was over 150 years ago when Archbishop John Hughes announced his inspired ambition to build the “new” St. Patrick’s Cathedral. Ridiculed as “Hughes’ Folly,” as the proposed, near-wilderness site was considered too far outside the city, Archbishop Hughes, nonetheless, persisted in his daring vision of building the most beautiful Gothic Cathedral in the New World in what he believed would one day be “the heart of the city.” Neither the bloodshed of the Civil War nor the resultant lack of manpower or funds would derail the ultimate fulfillment of Hughes’ dream and architect, James Renwick’s bold plan.